And just when you thought Zynga was going to forget about Thanksgiving in Treasure Isle, the team has decided to honor the original island hoppers with new quests, maps to explore and limited edition items. Up first is the setting of these new events, the Gravy Isles. 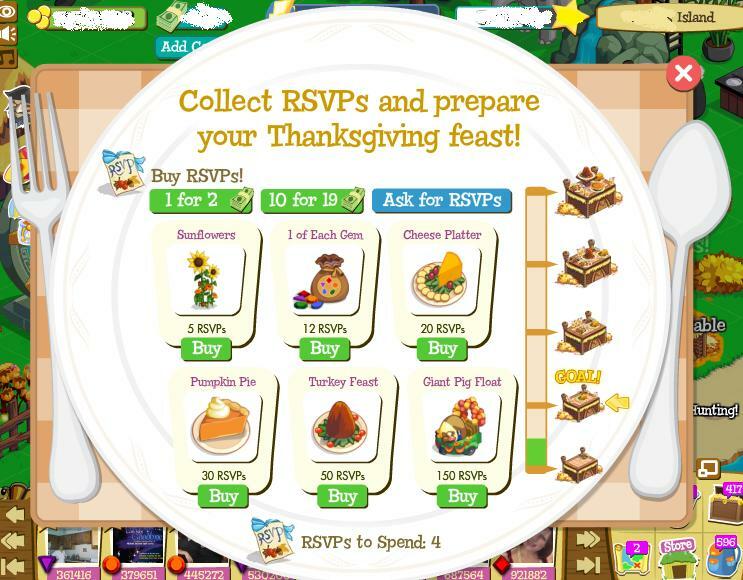 Expiring in 21 days, the Gravy Isles include Forest Friends and Cranberry Fields first available with Festive Feast, Seasonal Squash and Corn Cobb Hill becoming available as you train your Turkey--but more on that later. Completing this mission within 12 hours will score players the Gold Prize of 600 coins and 40 XP. 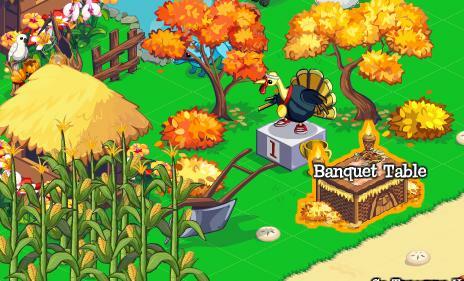 Return to your home island for yet another mission that you'll find more about behind the break. Once you touch down on your home island, you'll find a nice and plump turkey either sitting on your beach or inside your backpack. While it certainly is tempting to just throw him on the spit and get to cooking, there's work to be done. Like the other pathetic animals that seem to gravitate towards your island, you'll have to bring him back to greatness by asking your friends for help or paying up in Island Cash. It's only then that you'll be to embark on the ultimate Thanksgiving quest, exploring the three remaining islands for more treasure. 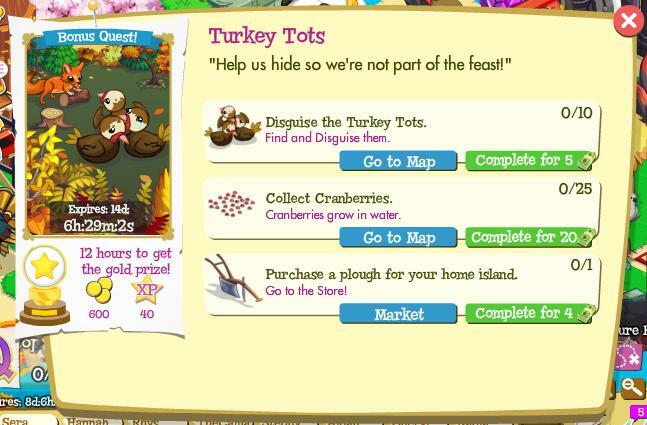 To help your friends in their exploration, Cranberry Sauce--a food good for 15 Energy--is giftable for free. With this many things to do in Treasure Isle, you might be island hopping right until it's time for dinner this Thursday. Check out the forums for more details on these events and do remember not to get too wrapped up in the islands. This is a holiday about eating, you know.